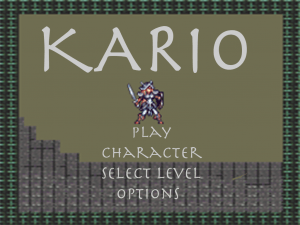 This game is called Kario and it is an old-school 2d game. 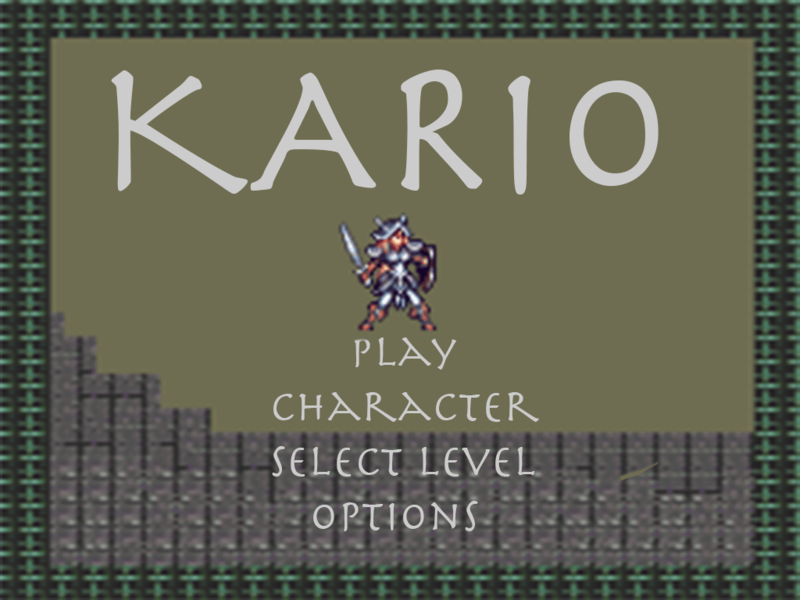 In the startup screen, a player has different options that allow them to jump right into the game or modify it. 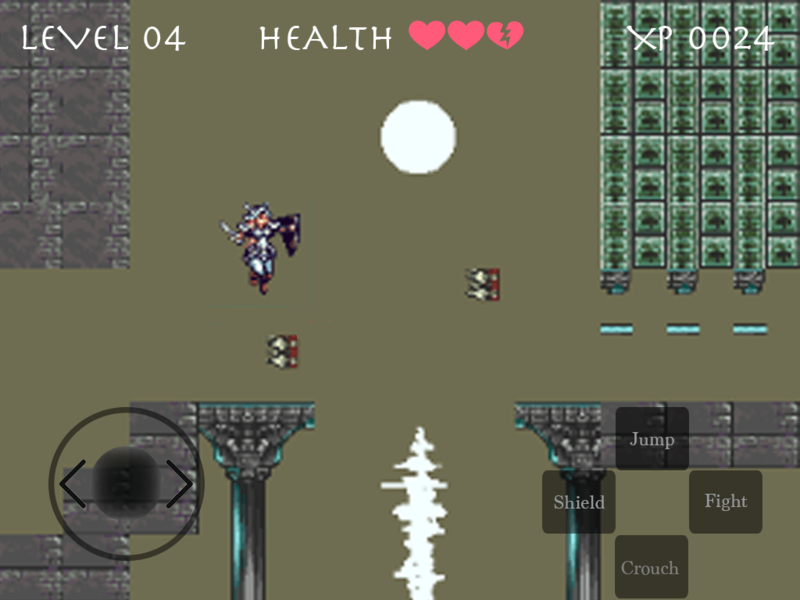 In the level screen, you can see that this game has touchscreen controls since it is made for a tablet. The left controls, allow the character to be moved left or right and the right controls allow the character to perform different things such as the ability to jump in order to avoid the incoming darts. 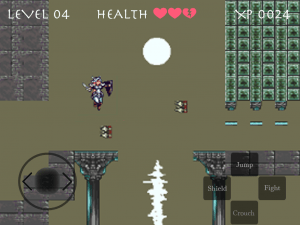 This game has many levels and challenges such as jumping from one platform to another without falling to death as you can see in the level screen. This game is intended for all ages. Many adults will find this game nostalgic.